New Jersey Symphony Orchestra Assistant Concertmaster ADRIANA ROSIN first gained international attention after her prize-winning performance at the Carl Nielsen International Violin Competition in Denmark. She remains engaged in the musical scene as a versatile ensemble musician, soloist and avid educator. 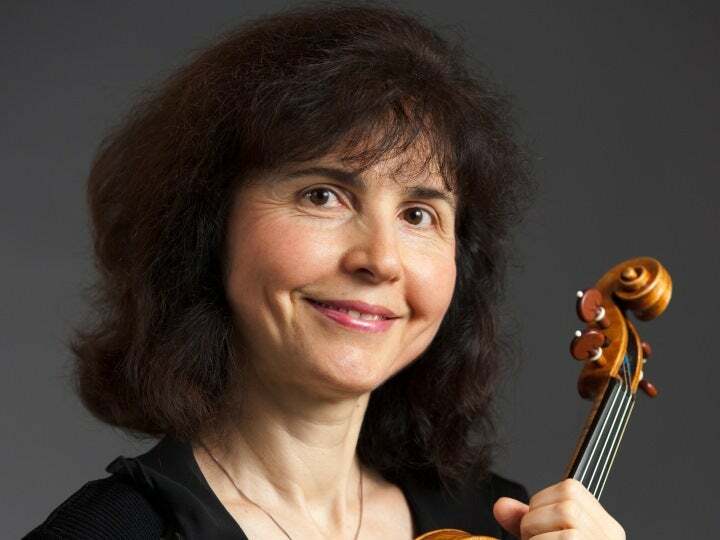 An active performer with the NJSO Chamber Players, Rosin has also enjoyed chamber music collaborations with renowned artists including Franco Gulli, Nobuko Imai, Ruth Laredo, Rostislav Dubinsky and Rohan de Silva. Summer festival participation includes those of Aspen; Tanglewood; Grand Teton; Goslar; Hitzacker; Regensburg, Germany; and Cremona, Italy. 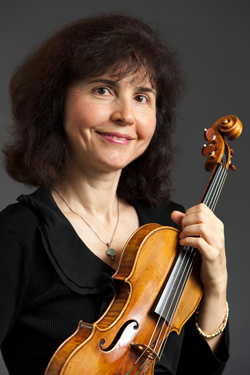 Rosin performed as soloist with the New York Symphonic Ensemble at Alice Tully Hall and on several tours throughout Japan and the Far East, as well as with the National Orchestral Association of New York, where she held the concertmaster position through two full seasons at Carnegie Hall. She was a member of the Brandenburg Ensemble, led by Alexander Schneider, and Musica Sacra, under the leadership of its founder, Richard Westenburg. A memorable experience was the live broadcast concert from Tanglewood celebrating Aaron Copland’s 85th birthday, at which Rosin performed as concertmaster in an all-Copland program under the baton of Leonard Bernstein. A forward-thinking artist and teacher, Rosin has enjoyed working with young musicians through the International Music Academy in Italy and giving masterclasses, private lessons and performance workshops. She was on the faculty at the Eastern Music Festival and an Artist-in-Residence at Lenoir-Rhyne College; she also held a teaching assistantship at Indiana University. An alumna of The Juilliard School, Rosin studied with Dorothy DeLay, Masao Kawasaki and Felix Galimir. This followed a master's degree at Indiana University with legendary violinist Josef Gingold. Rosin’s prior residence was Bucharest, Romania, where she began musical studies at the age of 5 with Aniela Beldi. Winner of the Romanian National Competition, Rosin later continued with Cornelia Bronzetti and Stefan Gheorghiu. She has participated in masterclasses with Itzhak Perlman, Henryk Szeryng and Andre Gertler.